Happy, happy birthday to our little lovely Lily Blossom. We spent the morning at one of our favorite dog beaches in Southern California, and now we’re just taking it easy. Everyone, including me, are all tired out from running in the sand, surf and sun. A few folks inquired about sending cards or gifts, and in lieu of any presents we ask that you please consider making a tax-deductible donation to the charity DOGS in Lily’s name. If you make a donation of $10 or more, we’ll send you an original Lily 5×7 postcard perfect for the refrigerator, bulletin board or framing. 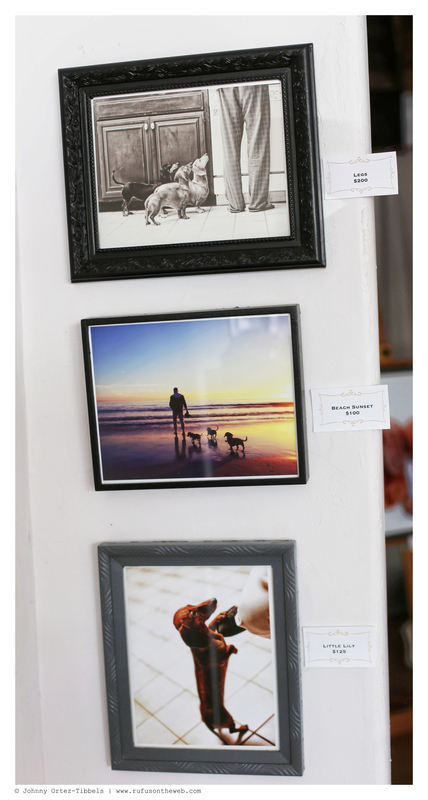 Additionally, we still have ONE “Little Lily” framed photograph from our Dachshund Fine Art Photography exhibit for a donation of $125 – which includes 2-day UPS shipping. The custom framed photo is a limited edition, fine art paper museum quality giclee print; this is NOT your run-of-the-mill, DIY, local convenience store print and is priced accordingly. FYI – the photography is of Lily on daddy’s foot begging for some more – very Oliver Twist. Many thanks for all the well wishes. Lily is adorable, we’re so grateful to have her in our lives and to have shared her story with all of you from the very beginning. Have a wonderful day dachshund friends. 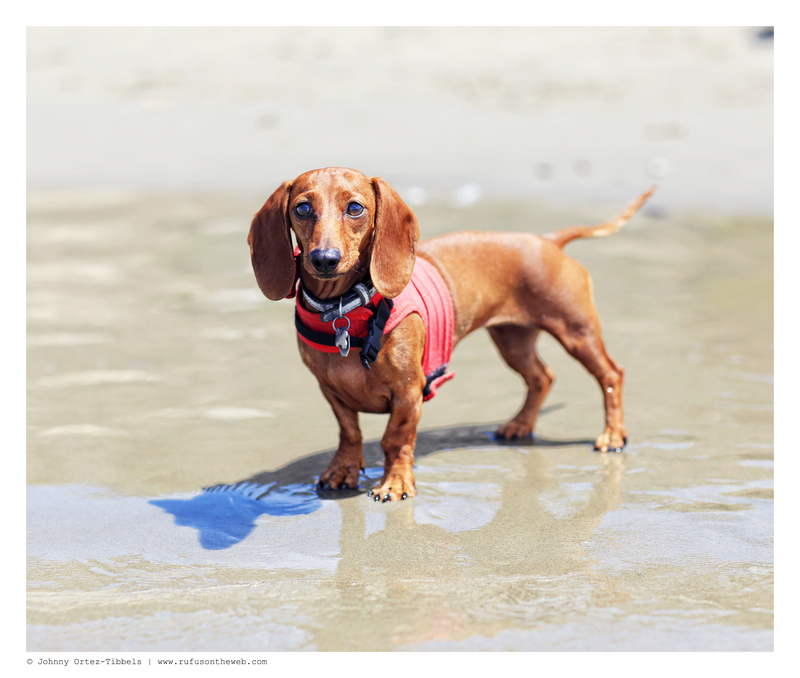 This entry was posted in Lily and tagged #ADachshundsLife #HappyHounds, #CelebratingwithDachshunds, #dachshund, #dachshund puppy, #HappyBirthday #DachshundBirthday, #red dachshund, #smooth dachshund, doxies. Bookmark the permalink. I remember meeting beautiful lily last summer on that lovely beach in oxnard. Happy Birthday to Lovely Lily. Hope to see you soon….Susie and the gang. It turns out that Lily and I share the same birthday! It looks like she had a very happy day. Such a beautiful girl! Happy,Happy Birthday Lily!! 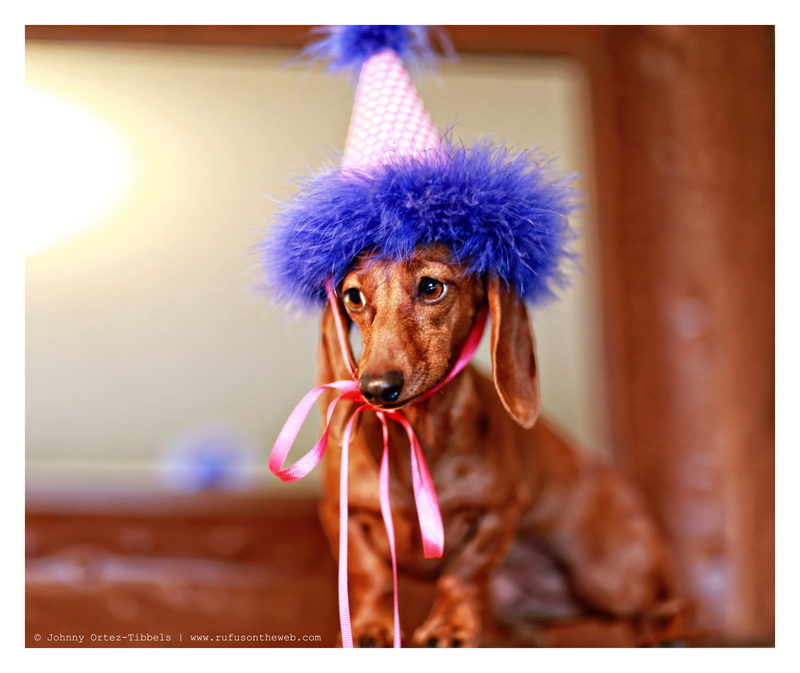 You look so cute in your birthday hat!! You are a cutie pie!! How old are you?!! seems like just yesterday she came into your family & I am sure you absolutely cannot imagine life without her! !